Juniors and QS competitors pulled off some magic tricks and ripped the challenging waves at the Vans US Open of Surfing today. Hawaiian Weston-Webb claims first career CT win. Toledo soars into his second Vans US Open QS title. Brazilian phenom Filipe Toledo banks his second Vans US Open trophy, while Hawaiian ripper Tatiana Weston-Webb wins a CT event for the first time. With his acrobatic above-the-lip game, Filipe Toledo brings a big advantage into every small-wave heat. The 17-year-old Australian has been firing warning shots all year, winning numerous Junior events and a QS1000 back home. Filipe Toledo went to his rail game in the Vans US Open final, and he got the crowd going with some seriously impressive carves. Here are the best images of the 2016 Women's Quarters, Semis and Final. Check out the best images of the Vans US Open of Surfing's grand finale here in Surf City USA. World's best battle for the prestigious Vans US Open of Surfing title. The 17-year-old Australian phenom is enjoying his coming out party on the QS. The young grom advanced on Saturday with a win over former CT surfer Mitch Coleborn with the best wave of the heat. Diaz claims first Vans US Open title. Marks secures historic back-to-back win. 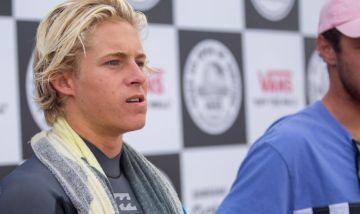 The Brazilian leads six fellow CT surfers into Finals day of Vans US Open, while Ethan Ewing and Bino Lopes represent QS crew. Everybody is a winner at the Duct Tape Invitational, but it was Justin Quintal who claimed the first position in the Finals day. Sebastian Zietz has been tearing into the HB rights during his march to the Quarterfinals. The boys wrapped up their campaign at the Vans US Open of Surfing, putting on a good show for the crowds. Quarterfinalists defined in challenging conditions at the main event of the Vans US Open of Surfing. Check it out. The girls were ripping on the final day of the Juniors Women at the Vans US Open of Surfing. Here are the day's best images. 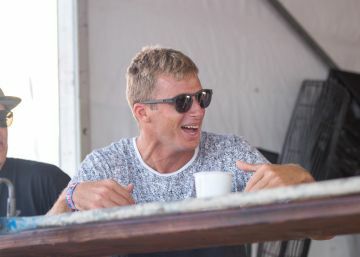 Joel Tudor and crew bring some style to Huntington Beach during the Duct Tape Invitational. Take a look at some shots of the event. Men and Women Junior Champions will be crowned today at Surf City USA. Fun size SSW swell builds through the day on Sunday. Sebastian Zietz officially retired from single life on Friday, proposing to his girlfriend, Krisy Fulp, on the end of the Huntington Pier. Three elite tour surfers find themselves in a tight Round Four battle at the Vans US Open of Surfing. The drama builds up at Huntington Beach as we approach the final weekend of competition. Past Champions eliminated in nail-biting heats as Round 5 draw gets defined at Huntington Beach today. For the first time in the event, it was all about the longboards in Huntington Beach as Joel Tudor's Duct Tape Invitational makes its debut. As we approach the home stretch at the Vans US Open of Surfing, the men continued to charge Surf City USA. Check out today's shots. 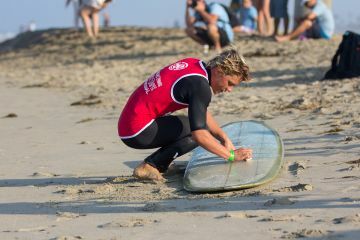 The best surfers in the world continue to battle at Surf City USA for one of the most prestigious trophies of the year. Watch today's best moments. Carissa Moore and Sally Fitzgibbons fall victim to underdogs stepping up in Round Four. Talented up-and-comers put on a showcase in Quarterfinal draws despite challenging conditions. Kanoa Igarashi posts the best total heat score of the day and secures a spot into the next Round.